The four main process of transportation by the sea are covered on the Marine Processes page. Longshore drift is a process responsible for moving significant amounts of sediment along the coast. This usually occurs in one direction as dictated by the prevailing wind. For example, the prevailing wind along the Holderness Coast is north-easterly. As the result waves break on to the beach obliquely at an angle of around 45 degrees. The swash moves beach material along the beach and the backwash, under gravity, pulls the material back down the beach at right angles to the coastline. Over time this creates a net shift of material along the coast. 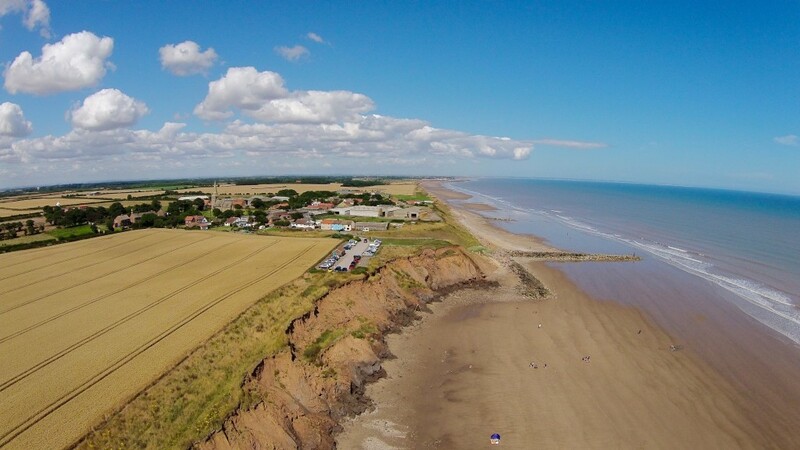 The video below shows the movement of beach sediment at Mappleton, Holderness Coast. Notice how the swash moves up the beach at an oblique angle then the backwash retreats at a right angle to the coast. Where the removal of beach material exceeds the supply erosion occurs. This is illustrated in the photograph below where a large rock groyne at Mappleton stops the supply of new beach material. As the result longshore drift transports material from the beach to the south of the groyne and is not replenished. This leads to a lack of beach material and therefore protection for the soft, boulder clay cliffs. 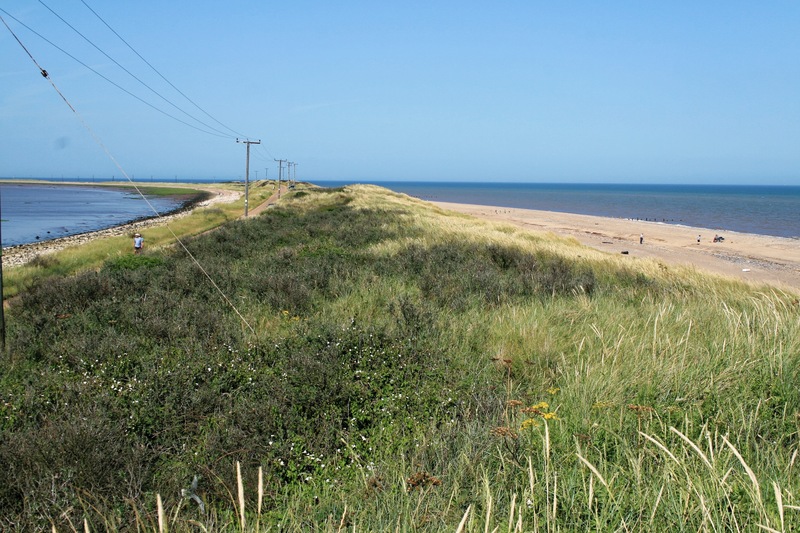 Longshore drift transports material along the length of the Holderness Coast. At the southern-most edge of the Holderness Coast material is then deposited forming Spurn Point, a coastal spit. Find out more about landforms of coastal deposition. Spurn Point – a coastal spit formed by longshore drift. Find out about the sediment budget. Find out about erosional landforms.